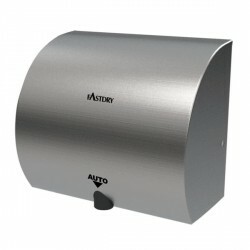 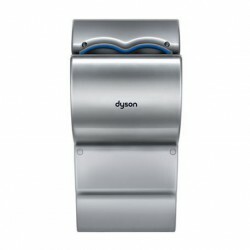 A high-speed hand dryer with compact design and multi-port diffuser nozzle. 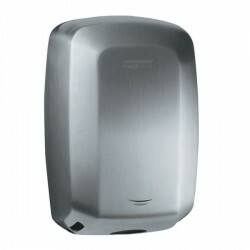 Energy efficient and hygienic. 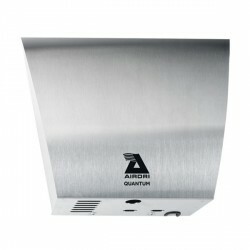 Polished chrome on aluminium. 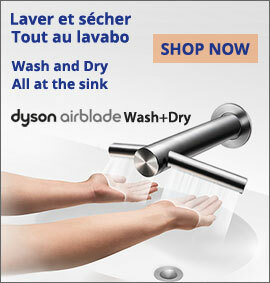 This item is not available for shipment to the UK and Ireland. 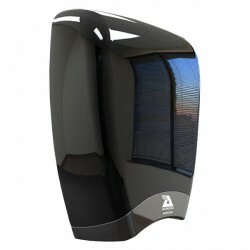 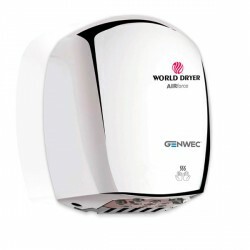 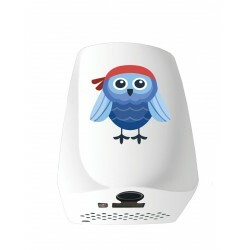 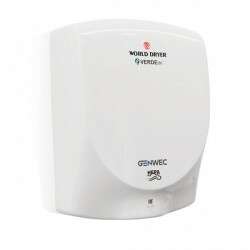 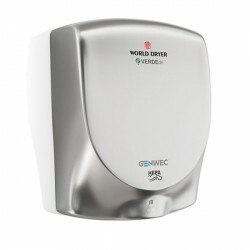 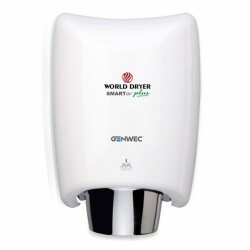 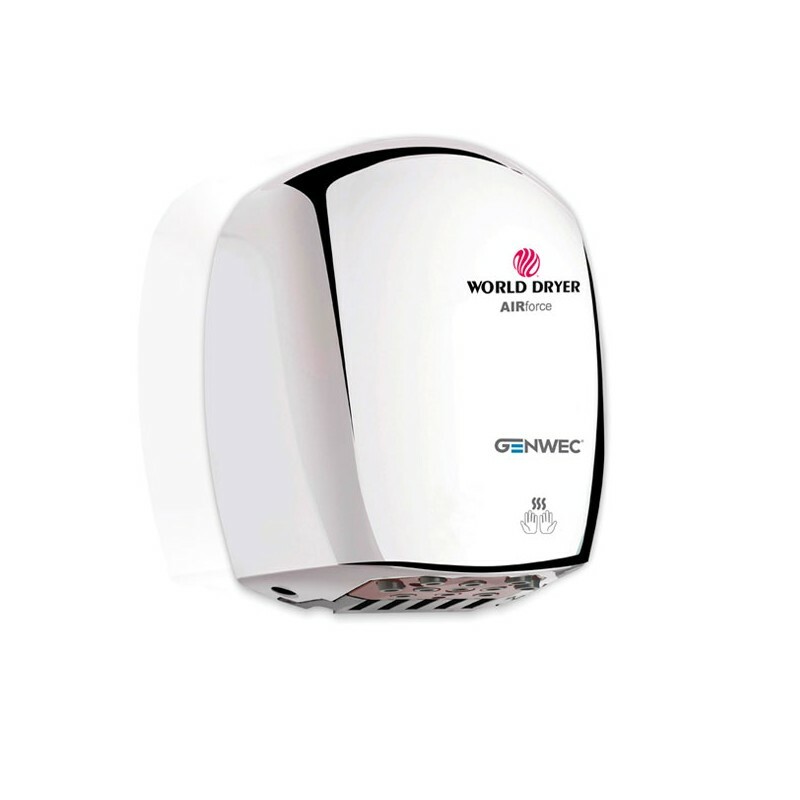 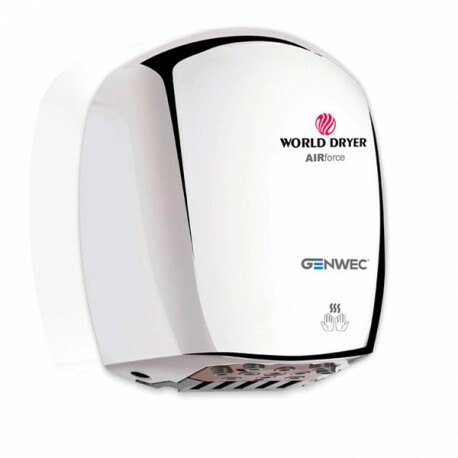 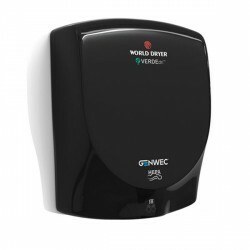 The World Dryer Airforce distributed by Genwec is an environmentally friendly, high-speed hand dryer. 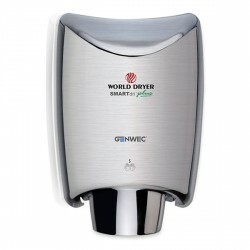 It has a space saving design and a multi-port diffuser nozzle which maximizes drying effective and comfort. 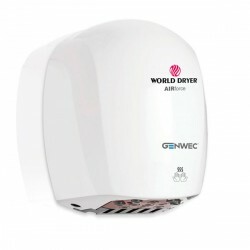 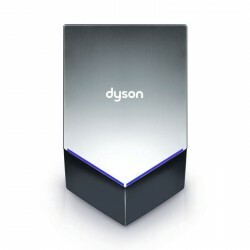 11 air outlets, covers more of the hand than the single blast of air produced by other dryers and give a more gentle feeling. 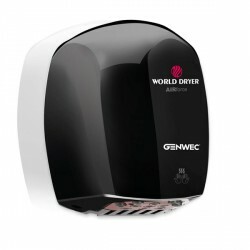 Low Energy - 1100 watts and no heating element (ambiant temperature but some heat is created from the motor, making it cooler than other hand dryers but still comfortable). 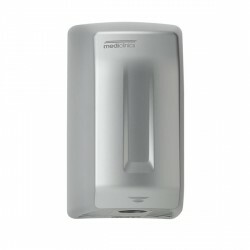 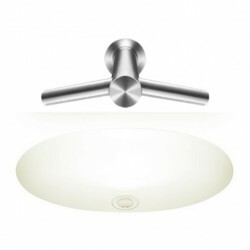 Hygienic: Steritouch antimicrobial technology reducing the build-up of bacteria. 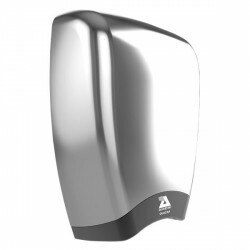 Sound level: at 80 dB, the Airforce is more quiet than some other high-speed dryers. 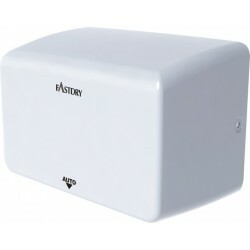 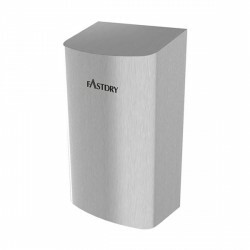 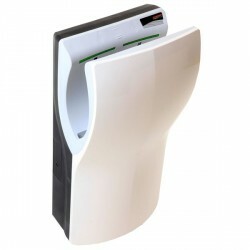 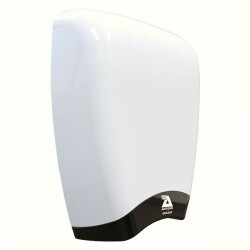 With a contemporary compact design, a gentle feeling while drying and a quiet operation, the Airforce is an attractive hand dryer for any restroom, and especially for smaller places.